Appreciate the collections at Jewish Museum in Prague and Strahov Monastery. Your inner history buff will appreciate St. Vitus Cathedral and Prague Astronomical Clock. 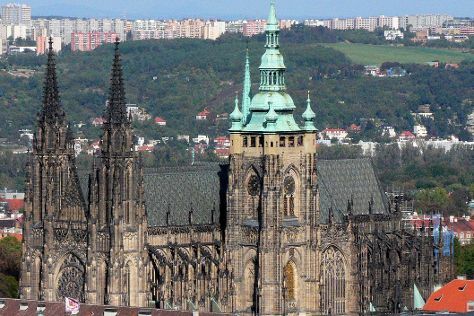 Next up on the itinerary: get to know the fascinating history of Prague Castle, take in the views from Charles Bridge, contemplate in the serene atmosphere at Spanish Synagogue, and get engrossed in the history at Convent of St Agnes of Bohemia. For traveler tips, photos, where to stay, and more tourist information, read our Prague travel route planning site . If you are flying in from Egypt, the closest major airports are Václav Havel Airport Prague, Brno-Tuřany Airport and Ostrava Leos Janáček Airport. September in Prague sees daily highs of 22°C and lows of 12°C at night. Finish up your sightseeing early on the 12th (Wed) so you can travel back home.